What might appear to be isolated cases are now increasing. Minnesota pest control companies said bed bugs are a growing problem in the Twin Cities. “They need to feed on the blood of humans to gain the nourishment that they need to grow and then to develop and lay eggs,” said Dr. Stephen Kells an entomologist at the University of Minnesota. 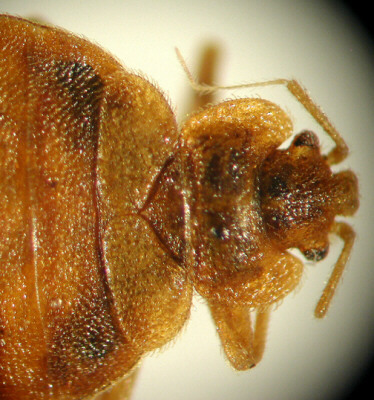 The University of Minnesota has devoted research to figuring out how these bed bugs operate. Kells has the unenviable job of watching them work. He showed how bedbugs start translucent then transform into a dark brown, almost black, color after feeding on his hand. By the time the bug is done feeding, it is almost the size of an apple seed. Kells has also found that bedbugs are tough to kill. “They can live for up to a year, year and a half without a blood meal — without feeding at all,” said Kells. 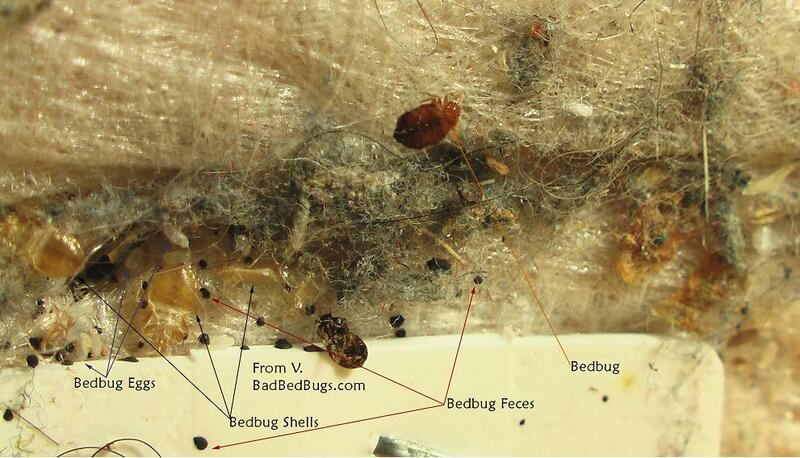 There’s a widespread belief that bed bugs are caused by dirty conditions. That’s not true. Even clean places can have bed bugs. Part of the problem is when you’re awake and moving around, that’s when bedbugs go into hiding. Also, some people don’t react to the biting, so it is possible that you could have bedbugs and not realize it. If you are concerned about a bed bug problem in your home, it is highly recommended that you contact a professional pest control company as soon as possible for inspection and control measures. Controlling a bed bug infestation requires very detailed work and much moving (and disassembly) of furniture. Careful inspections must be completed in conjunction with non-chemical controls (such as vacuuming, and steam treatments) and insecticide treatments. The insecticides available are commercial products requiring special equipment and training, that is not readily available in over-the-counter products. “Sleep tight, don’t let the bedbugs bite,” may have been something your parents said to you before bedtime. In a growing number of homes, it is no longer a saying — it’s a way of life. Bed bugs are making a comeback. Several women know about bedbugs firsthand. They brought home more than memories from their most recent vacation. After the second night of their dream vacation in Thailand, she and her friends woke up with bites on their legs. At one point they actually went on to the hotel computer went onto WebMD online to try to see what bedbugs look like because they thought maybe, that would be the culprit, but what their bites looked like and what our bites looked like where very different. They didn’t give it a second thought, continuing on their trip and then back home. Days later, one woman noticed more bites and one day found a bug crawling on her carpet. She picked it up, put it in a bag and called an exterminator. Her two friends found them at their houses too. Exterminators also found traces of bedbugs in their suitcases. What might appear to be isolated cases are now increasing. Minnesota pest control companies say bedbugs are a growing problem in the Twin Cities. Thanks to the chemicals used back in the 1960s, bedbugs were nearly extinct, but two things have now changed. One, we have changed how we treat bugs, by opting for baits instead of sprays. Two, people are traveling greater distances, which has pushed these bugs back into our lives. Bedbugs are great hitchhikers. They easily hop onto luggage without notice. Today, bedbugs are commonly found in southern states, in New York City, N.Y. hotel rooms and there have calls of them in hotels in the Twin Cities. They could be in your bed, behind the pictures on the wall or even traveling with you. Homeowners and tenants are encouraged to inspect the seams, folds, edges and labels on mattresses and box springs; bedding and bed linens; window curtains; cracks and crevices in furniture and in baseboards; areas behind peeling wallpaper, wall hangings, receptacles and light switch covers; and areas along the edges of carpeting. Check bedding and bed linens for dried blood or dark red or brown spots. If you are concerned about bed bugs becoming a problem in your home, it is recommended that you contact a professional pest control company as soon as possible for inspection, prevention and control measures. Bed bugs can enter homes by latching onto used furniture, luggage and clothing, and by traveling along connecting pipes and wiring. § Never bring bed frames, mattresses, box springs or upholstered furniture found on the street into your home. § Check all used or rented furniture for bed bugs. § When traveling, inspect the bed and furniture. § Keep suitcases off the floor and bed, and inspect them before you leave. § If you suspect you have been around bed bugs, immediately wash and dry your clothing on hot settings or store it in a sealed plastic bag until you can. § Seal cracks and crevices with caulk, even if you don’t have bed bugs. This will help prevent bed bugs and other pests from coming in. Look for bed bugs, blood stains, droppings and eggs (a flashlight and a magnifying glass will help). Start by looking in an area 10-20 feet around where you sleep or sit. That’s the distance a bed bug will usually travel. Keep a written record of every room and location where you find signs of bed bugs. Share this record with a pest control professional. If you have bed bugs, you shouldn’t feel embarrassed. Anyone can get bed bugs. Bed bug infestations usually require a professional. Only professionals should apply pesticides for bed bugs. Foggers and bug bombs are not effective against them. § Use the least-toxic pesticide labeled for bed bugs that will be effective. § Follow all instructions and warnings on product labels. § Tell you when it’s safe to re-enter a treated room. § Never spray the top of mattresses or sofas, and if needed, to use only small amounts of pesticides on their seams only. A single bed bug brought home from an infested hotel room can multiple and turn your home into nightmare! They can quickly become a serious pest problem. Once you notice a bed bug problem you should call a pest control professional right away. They will know where the problem is, if there is one and be able to educate you on how to prevent bed bugs and work with you until the bed bugs are gone. The sooner everyone responds, the more successful everyone will be. Bed bugs are active at night and hide during the day. After mating, females lay white, oval eggs (1/16 inch long) into cracks and crevices. An individual bed bug can lay 200 – 250 eggs in her lifetime. The eggs hatch in about 6 – 10 days and the newly emerged bed bug nymphs seek a blood meal. Immature nymphs molt five times (i.e., they shed their outer exoskeleton in order to grow) before reaching adulthood. They need to feed at least once before each molt, although they could feed as often as once a day. There may be three or more generations per year. All ages are found in a reproducing population. 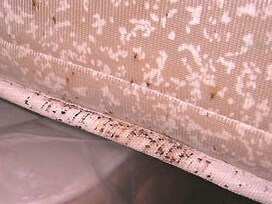 Immature bed bugs may live for several months without feeding while adults may survive as long as one year without a meal. Under normal circumstances, adult bed bugs will live for about ten to eleven months. Bed bugs typically cluster together in favorable harborage areas. However, some bed bugs will live by themselves, away from the majority of the infestation. The best way to determine if you have an infestation is to look for bed bugs where you sleep (or rest) and where you typically set down luggage (or bags) when you enter the residence. Your luggage and places where your luggage may be stored are also some of the first areas to look. In bedrooms, look particularly around boxsprings, mattresses, bed frames, tufts, folds, and buttons on mattresses, furniture, such as desks and chairs, behind wall paper, clocks and pictures, cracks in wood floors, and under the edge of carpet. While bed bugs are most commonly found in bedrooms, infestations can also occur in other rooms, including: bathrooms; living rooms; and laundry rooms. If you are concerned about bed bugs becoming a problem in your home, it is recommended that you contact a professional pest control company as soon as possible for inspection and control measures. There is nothing “magic” about the way these pests initiate an infestation. They are simply parasites that look to resting persons or animals for a meal and, once obtaining this meal, they travel back to a place of hiding. The thing that makes bed bugs so challenging for detection and control is they have excellent abilities to squeeze into cracks and crevices and will often go unnoticed by the casual observer. Bed bugs are experts at hiding. They hide during the day in places such as seams of mattresses, box springs, bed frames, headboards, dresser tables, cracks or crevices, behind wallpaper, and under any clutter or objects around a bed. Their small flat bodies allow them to fit into the smallest of spaces and they can remain in place for long periods of time, even without a blood meal. Bed bugs can travel over 100 feet in one night, but they tend to live within 8 feet of where people sleep. Bed bugs are usually transported from place to place as people travel. Bed bugs travel in the seams and folds of luggage, overnight bags, folded clothes, bedding, furniture, and anywhere else where they can hide. Most people do not realize they can transport stowaway bed bugs as they travel potentially infesting new areas, including their homes, as they relocate. One of the easiest ways to identify a bed bug infestation is by bite marks that appear on the face, neck, arms, hands, and any other body parts. However, these bite marks may take as long as 14 days to develop in some people so it is important to look for other clues when determining if bed bugs have infested an area. Everyone is at risk for bed bugs bites when visiting an infested area. However, anyone who travels frequently and shares living and sleeping quarters where other people have previously slept has an increased risk for being bitten and for spreading a bed bug infestation. If you are concerned about bed bugs becoming a problem in your home, it is recommended that you contact a professional pest control company for inspection and control measures. They are increasingly being encountered in homes, apartments, hotels, motels, health care facilities, dormitories, shelters, schools, and modes of transport. Other places where bed bugs sometimes appear include movie theaters, laundries/dry cleaners, furniture rental outlets and office buildings. Immigration and international travel have undoubtedly contributed to the resurgence of bed bugs in the U.S. Changes in modern pest control practice — and less effective bed bug pesticides — are other factors suspected for the recurrence. Bedbug cases have been on the rise across the world since the mid-1990s. The rise in infestations has been hard to track because bed bugs are not an easily identifiable problem. Most of the reports are collected from pest-control companies, local authorities, and hotel chains. Therefore, the problem may be more severe than is currently believed. Bed bugs may in fact be the most challenging pest problem currently facing the pest control industry. There are many pests that homeowners may decide to try and control on their own but bed bugs should not be one of them. The bottom line is that bed bug work requires a highly trained professional. It takes hard work, and follow-up efforts. Once you notice a bed bug problem you should call a pest control professional today! Because of the rise of the bed bug epidemic researchers and public health officials are concerned that the little unwanted bugs are going to spread through schools. Why? Because the little brown bugs can easily get transported from home to school on children’s clothes and their backpacks. 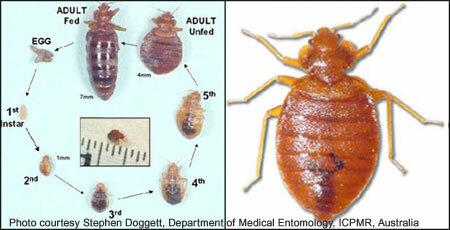 They can also be transported to other homes this way and therefore cause even more bed bug infestations. Schools are often notoriously known for having head lice problems which can be difficult to get rid of but bed bugs are even harder to exterminate in schools. You know where to look when it comes to head lice. But bed bugs, they could be anywhere and everywhere. They can also be transported easily to other places and thus the infestation gets even worse. Bed bugs are often called “hitchhikers” because of this. Schools sometimes need to be closed down and fumigated and health departments don’t want that to happen. In the 1950′s harsh pesticides were used to kill and take care of bed bug problems but now these pesticides are banned. The result? Bed begs are back and in full force. They are everywhere! They’ve been brought back with travelers and are found in homes, schools, dorm rooms, apartment complexes, businesses, hotels and many other places. The phrase “don’t let the bed bugs bite” is not just something cute to tell our children but in fact it is becoming more and more serious. If you suspect you have a bed bug infestation, please call a pest control professional today!